A member of President Trump's legal team said that if special counsel Robert Mueller subpoenas Trump to testify in the Russia investigation, it would spark a legal battle that would go to the Supreme Court. Lawyer Jay Sekulow told ABC News Chief Anchor George Stephanopoulos on "This Week" Sunday that the president's legal team's inclination at this point is not to have the president meet with Mueller. If Mueller were to try to compel the president's testimony, there would be a legal fight over the constitutionality of requiring such an act of a sitting president, Sekulow said. Jay Sekulow, Chief Counsel of the American Center for Law and Justice at Regent University, in Virginia Beach, Va.
“A subpoena for live testimony has never been tested in court as to the president of the United States,” Sekulow said. Stephanopoulos also pressed Sekulow on contradictions with some of his past statements about the investigation, including in relation to the nature of a Trump Tower meeting in 2017 between members of the Trump campaign and Russians. 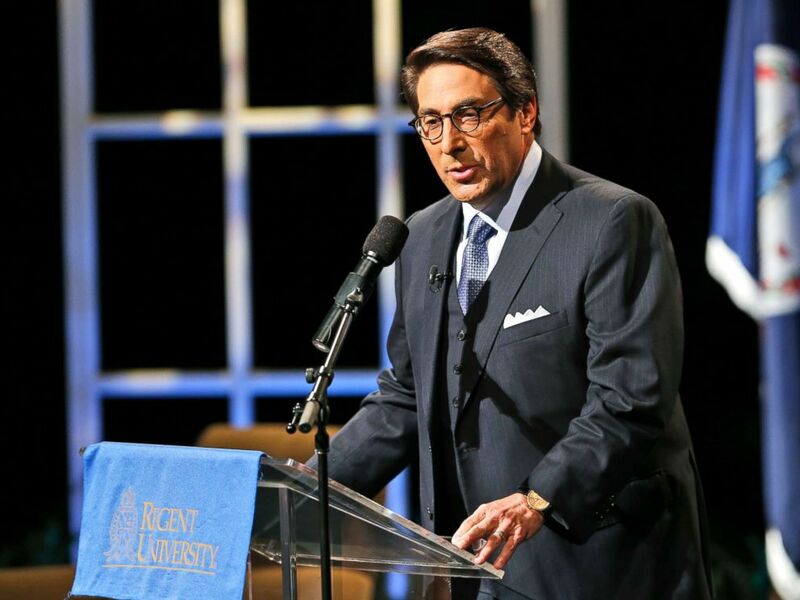 In a July 2017 appearance on "This Week," Sekulow denied that the president was involved in crafting his son Donald Trump Jr's statement about the meeting. The White House later said President Trump had dictated the statement on his son's behalf. Stephanopoulos asked Sunday, "Why did you deny President Trump’s involvement? When did you learn that the denial wasn’t true?" "I had bad information at that time and made a mistake in my statement," Sekulow said. "In a situation like this ... over time, facts develop." Sekulow said there has been no evidence of any collusion between Trump associates and Russians in the 2016 election. Even if there were, he said it would not constitute a crime. Stephanopoulos pressed, "You said no collusion. At first, the White House said that there were no contacts with Russians. We now know there were at least 80 contacts. If the White House or anyone connected to the Trump campaign accepted information from the Russians, that could potentially be collusion. That could be ... considered participating with a conspiracy." Sekulow responded, "In that allegation, though ... the so-called collusion, which by the way is not a legal term, that’s now what results in [an] issue of criminality. I mean, that’s just one theory." The president's lawyer continued, "What was the fact? I mean what was the fact? Well, the facts that we know is what was the violation or what violation has anybody put forward of an actual federal statute that’s been violated by the president of the United States?" Sekulow also dismissed any notion that the president may have tried to obstruct justice with a tweet Wednesday that said in part, "This is a terrible situation and Attorney General Jeff Sessions should stop this Rigged Witch Hunt right now, before it continues to stain our country any further." "Obstruction of justice by tweet is absurd," Sekulow told Stephanopoulos. "The president has the First Amendment right to put his opinion out there,"